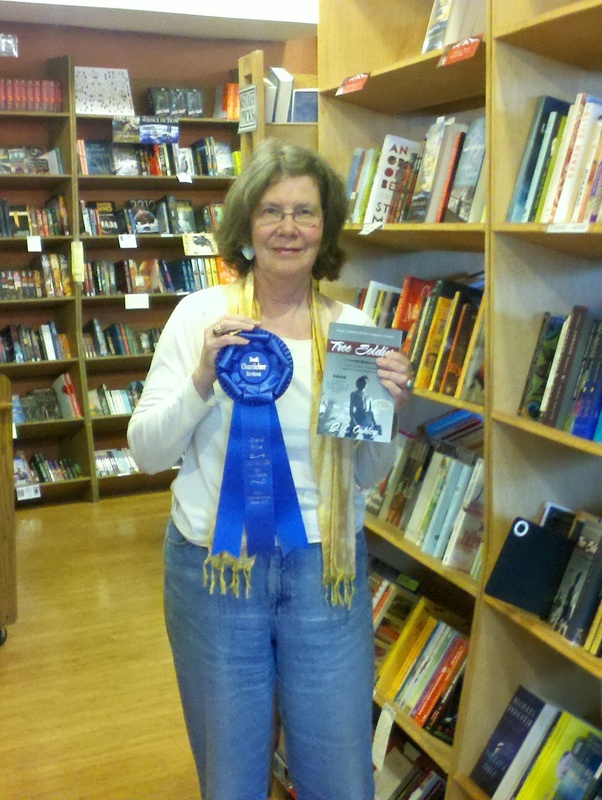 Janet Oakley is one of those authors who seems to show up everywhere – all at once! She’s won multiple awards and rightly so. Her novels and short stories are compelling, rich, and historically precise. She is a generous author and committed to her work. She knows what it takes to succeed in this business. 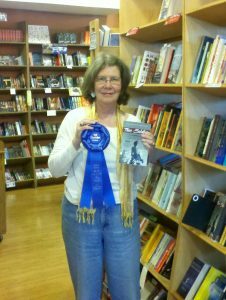 Ladies and gentlemen, I give you multi-award winning author, Janet Oakley. Oakley: I was born in D.C. and grew up Pittsburgh. It was a creative house with my mother a pianist, my dad a physicist. There was no TV in the house, so we pretty much used our imaginations. My parents both loved books and read to my brothers and I every night. The original Carnegie Library in downtown Pittsburgh was my haunt. 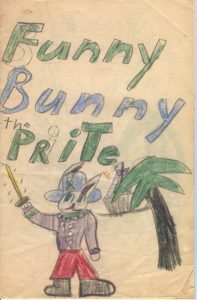 Like many published authors, I started writing early—in second grade. 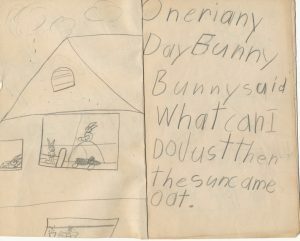 My oeuvre was a series, illustrated by myself, called Funny Bunny. 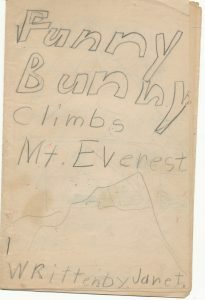 In fifth grade, I wrote my first historical fiction, with questionable historical facts. In college when I majored in history, my writing became more serious as I learned to do research and write essays and articles. In my sophomore year, I got an internship at the Smithsonian Institute. I was given an office in the annex of the Library of Congress and spent a whole quarter going through early 19th century magazines and newspapers looking for images of Native Americans. I returned to D.C. my senior year to research my thesis on the Comanche Indians as Prisoners of War and after graduation, I was awarded a stipend to work in the Smithsonian’s Anthropology Archives. I worked there until I left for Hawaii the following year. This experience of doing research and writing in my early years led to writing my first novel, The Jossing Affair. I haven’t looked back. Chanticleer: That’s quite a rich growing up there, Janet. When did you realize you that you were an author and not only a historian? Oakley: I spent nearly ten years pitching and query Jøssing and the other novels I was developing with little success but it wasn’t until I took a writing intensive class in 1999 at UW that I found a different way to publish and expressed myself– the personal essay. Though not one of my assignments at UW, the first thing I ever had published, other than some letters to the editor at my local newspaper, was an essay in Rugby Magazine, entitled, “On Being Rugby Mom.” I had started the essay on lunch break at UW. That success led to sending in essays to the Cup of Comfort series (part of the Writer’s Digest publishing house) I had five essays published in anthologies with titles like A Cup of Comfort for Women, A Cup of Comfort for Mothers and Sons and others. In 2006, I won first place at Surrey International Writers for my essay, “Drywall in the Time of Grief.” I realized then that I could write material acceptable for publication and get edited by a great editor. (We’re still friends) Then I could say I was an author. When indie publishing came into being, I was ready to publish my novels. Chanticleer What genre best describes your work? Oakley: Historical fiction, for sure. I love history and those little known, often forgotten events in both local and international history. 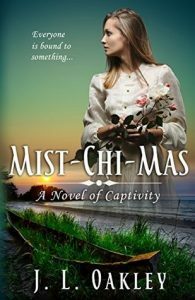 Like Hawaiians in the Pacific Northwest in the 19th century (Oakley’s novel Mist-Chi-Mas: A Novel of Captivity is a timeless and important story that addresses what life was like for Pacific Islanders in the PNW). 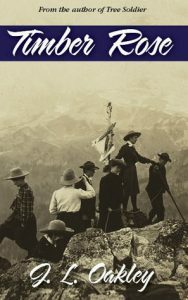 Women climbing mountains in skirts in 1907 (Timber Rose is Oakley’s novel about the first women’s hiking club). These historical tidbits have become the background for several of my historical novels. Historical fiction, however, has many aspects to it and can fit into thrillers and mysteries. My WWII novel, The Jøssing Affair, has been called a historical thriller and for the past three years, I have been writing mysteries set in Hawaii—a place I love—with some history in them. The Jøssing Affair was awarded the Goethe Book Awards Grand Prize for Historical Fiction, a division of the Chanticleer Int’l Book Awards. Coconut Island for one. 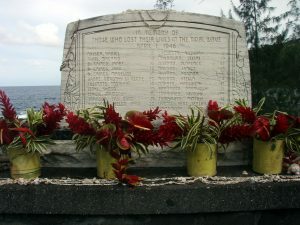 Its historical background rests on the 1946 April Fools Day tsunami that wiped out Hilo. I got an inkling of its destruction and loss of life while teaching at Hilo Adult School—one of my students, a 4th-grade teacher, was a survivor. It wasn’t until I researched the tsunami for Coconut Island, did I learn its full impact: 96 people lost, homes and businesses destroyed. The tsunami arrived from the Aleutian Islands in under 5 hours. History has its own compelling storyline which I love to set my characters in and see how they do. Even in a mystery. I can’t seem to get history out of anything I write! 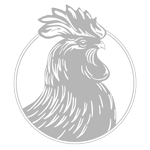 Chanticleer: So even your mysteries have a strong vein of historical running through them. Can you tell us a little more about that? Oakley: Curiosity and family stories of homesteading in Kansas, Indian Territory and the NW in the late 1800s got me hooked on history. I grew up on stories of one great-grandfather who was a Union surgeon at the Battle of Gettysburg, another great-grandfather in the 1870s Hayden expedition to Yellowstone. My great-grandmother saw Lincoln on his way to his inauguration, then later went out to Kansas where her parents taught at Shawnee Mission. I’ve always wondered about people who lived in different times. What type of technology did they have available? How did they manage with their technology? What their lives were like without our modern conveniences. What made them succeed, be happy in life? My mom also influenced me as she loved history and love historical fiction herself. Chanticleer: How does being an author affect your involvement in your community? Oakley: Writing historical fiction has opened opportunities to talk about the history behind my novels. The Jøssing Affair, set in Norway during WWII, has been a popular book club choice as we have a large community of Scandinavians in the state, but I think my first published novel, Tree Soldier, has a more important impact. I grew up listening to my mother’s stories of the Civilian Conservation Corps boys from New Jersey who showed up at Lowman, ID in 1933. Part of the New Deal was to put young men back to work in environmental projects, these young men had been lifted out of their block in Jersey City and sent West. Tree Soldier came as a result of my need for a history paper for my Master’s in Elementary Education. I interviewed five gentlemen who had been in the CCC. I began to present talks on the CCC and in 2013 was accepted into the Washington Humanities program. For two years, I went around Washington State talking about the CCC in Washington State (1933-1941) each time before I went to a new community, I researched the camps in their area and added the findings to my talk. 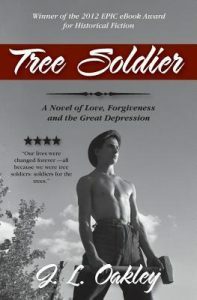 Then Tree Soldier was awarded the Chanticleer Grand Prize for Best Book. A presentation in Clarkston, WA led to an invitation to have Tree Soldier be selected as an Everybody Read for the Palouse area in both Washington and Idaho. What an honor! And a learning experience on how to present and engage with readers in the libraries. Not much later, Tree Soldier was again a book read for four libraries on the Olympic Peninsula. 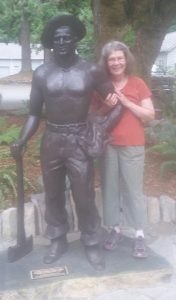 I think the thing I am most proud of is being behind the installation of a CCC worker statue at Glacier Washington ranger station. As an educator, for me, this statue from a national CCC program, helps visitors to the Mount Baker National Forest learn and appreciate the work of out-of-work boys from long ago. When we dedicated the statue on June 16th, a 98-year-old CCC boy from Camp Glacier came. It was so wonderful to see the attention he received. Since then a 96-year-old CCC boy has contacted me through his granddaughter. I hope to meet him soon. 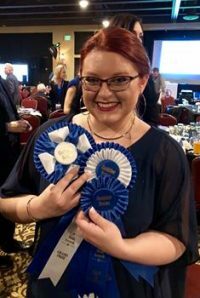 Chanticleer: Good work, Janet! What are you working on now? 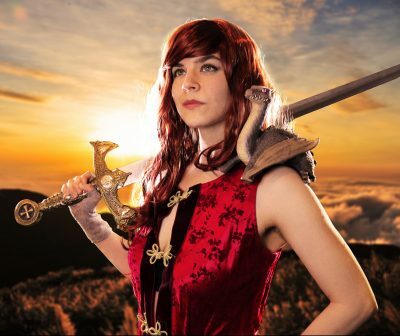 What can we look forward to seeing next from you? 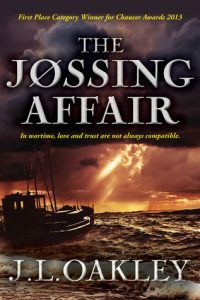 Oakley: I’m working on the sequel to The Jøssing Affair, set in Norway a year after WWII. Rewriting my Kindle World mystery novellas and publishing them as Hilo Bay Mysteries. Once the third book is complete, I plan to do a boxset both in ebook and paperback. Chanticleer: Can’t wait to see where this book takes you. It’s important to work on your craft. What do you do to grow your author chops? Oakley: I write every day, usually in the morning starting at 8:00 AM. I belong to several writers groups, including a critique (going for 16 years now) and I am a member of the Independent Writers Studio where I work on WIPs with a wonderful editor and other members. Chanticleer: That seems to be more than a simple commitment – it’s a way of life! Good for you. What craft books have helped you the most? 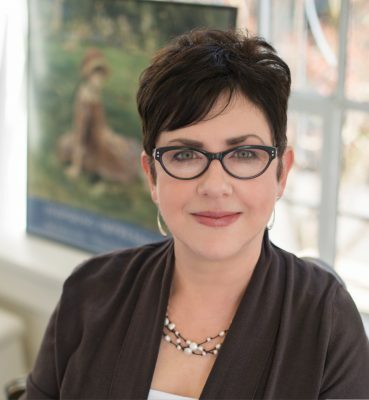 Oakley: Better than craft books, I have been taking classes from the authors and well-writing teachers such as Donald Maas on and off for over 25 years, Diana Gabaldon, Robert Dugoni and many other fine writers and teachers. Usually at conferences. Oakley: Write a review on Amazon. It carries more weight than any other review site. Books need reviews in this crowded publishing world. Chanticleer: Good point. What do you do when you’re not writing? Tells us a little about your hobbies. 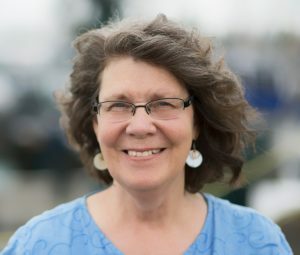 Oakley: For the past 35 years, I have researched and then taught hands-on history workshops to at schools children through Allied Arts and on my own and at a county museum. I wrote several social studies curriculum for Whatcom County schools and a national park. Following the publication of the curriculum for the San Juan Island National Historical Park in 1995, I began to give demonstrations on 19th-century foodways there. 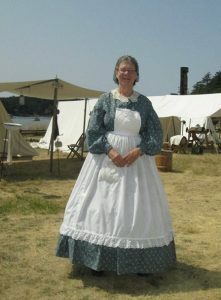 Soon I joined English Encampment, an annual gathering of reenactors at the national park as Miss Libby, an 1860 schoolmarm. Great fun! I also garden. Like words, the flowers and veggies need nurturing. Chanticleer: Thank you for being with us, Janet Oakley. You are an inspiration and your passion is contagious! Now, it’s your turn to show your support! Please find and follow Janet as she shares her writing, life, and insight into living a successful author-life.